Separating your site's audience in two categories( Standard and Elite ) can be a good way to profit by providing different services for them. Message us if you are interested in this kind of approach. 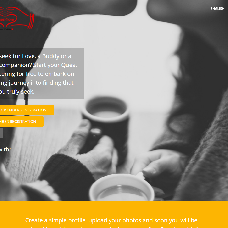 The Quest 4 Love site is a unique platform that allows you to search for Love, a Buddy or a perfect companion. Here you can start your Quest to embark on an exciting journey into finding that which you truly seek. The site offers two ways of registration - general and elite. Elite members can take advantage of all premium features and meet only the outstanding users from all over the world. The standard members are able to communicate and search for other users as well.